Interstate 45 has four active business routes, all toward the northern end of the freeway along former U.S. 75. 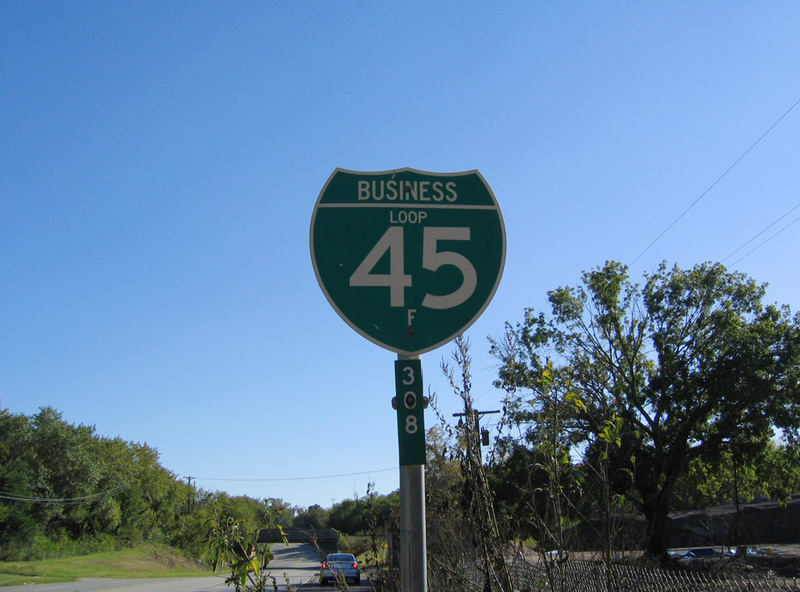 Three business loops off IH 45 are within 20 miles of each other: Ennis, Palmer and Ferris. This is largely because SH 75, the designation of old U.S. 75 further south, ends at Exit 213. U.S. 75 was truncated south of Dallas in 1987, with SH 75 designated over the route between Conroe (Exit 84B) and Streetman. Business Loop I-45F branches west from Interstate 45 via a left-hand ramp at Exit 228B. Following old U.S. 75 (Maple Street), the business route combines with U.S. 287 on 7th Street to Downtown. Beyond 1st Avenue, the pair curve northward onto a four-lane arterial to the wye interchange (Exit 235B) with I-45. The 6.37 mile route was established on June 21, 1990 in a mileage transfer from State Loop 564. The business route for IH 45 at Ennis loops 4.51 miles west between Exits 249 and 253. Old U.S. 75 emerges from the freeway at a split diamond interchange along Kaufman Street. Kaufman Street follows old U.S. 75 north to Old Dallas Highway, which splits with Business Loop I-45 along the industrial north side of Ennis. Business Loop I-45G replaced SL 563 along the northern half of the route when it was designated on June 21, 1990. The southern half between IH 45 and Ennis Avenue in Downtown was also a part of U.S. 287 until the route was realigned onto a bypass west of the city in 1994. The old route was designated as Business U.S. Highway 287S on December 21 of that year. This is a 2.33 mile route along old U.S. 75 through the town of Palmer. It runs north along Dallas Street between split diamond interchanges at Exits 258 and 260.
Business Loop I-45H was established on June 21, 1990 in a mileage transfer from State Loop 562. Located seven miles north of the Palmer business route, Business Loop I-45J bee lines north from Exit 265 along Central Street to the Ferris city center. The old route of U.S. 75 converges with IH 45 at the north end of the business loop at Exit 268 and Mallow Bridge Road. 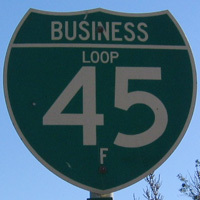 Business Loop I-45J travels 3.37 miles overall. It was designated on June 21, 1990 in place of State Loop 560.